Adult-Gerontolgy Nurse Practitioner Certification Exam Review & Advanced Practice Update 2019 is organized by Fitzgerald Health Education Associates and will be held from Apr 30 - May 01, 2019 at New York City, New York, United States of America. This CME Conference has been approved for a maximum of 32.10 Contact hours. Conference Sessions: LIVE Schedule Day One & Two Class: 8 AM --6 PM including AM and PM breaks, lunch (on your own) • Preparing for Exam and Test-taking Strategies • Primary Prevention: Health Promotion and ImmunizationSecondary Prevention: Detecting Preclinical Disease • Assessment and Intervention in Select Hematologic Disorders • Eye, Ear, Nose, and Throat Disorders • Commonly Encountered Dermatologic Disorders • Thyroid Disorders • Differential Diagnosis and Threatment of Headache • Evaluation and Intervention in Select Gastrointestinal and Hepatic Disorders • Lower Respiratory Tract Disease • Diabetes Mellitus • Cardiovascular Problems: Hypertension, Dyslipidemia, and Heart Failure • Differential Diagnosis and Treatment in Commonly Encountered GU and GYN Problems • Common Issues in Mental Health • Select Health Issues in the Older Adult Additional details will be posted as soon as they are available. Family Nurse Practitioner Certification Exam Review and Advanced Practice Update 2019 is organized by Fitzgerald Health Education Associates (FHEA) and will be held from Apr 30 - May 02, 2019 at Renaissance Westchester Hotel, New York City, New York, United States of America. This CME Conference has been approved for a maximum of 35.50 Contact hours. Conference Sessions: Day One & Two Class: 8 AM-6 PM including AM and PM breaks, lunch (on your own) • Preparing for Exam and Test-taking Strategies • Primary Prevention: Health Promotion and ImmunizationSecondary Prevention: Detecting Preclinical Disease • Assessment and Intervention in Select Hematologic Disorders • Eye, Ear, Nose, and Throat Disorders • Commonly Encountered Dermatologic Disorders • Thyroid Disorders • Differential Diagnosis and Threatment of Headache • Evaluation and Intervention in Select Gastrointestinal and Hepatic Disorders • Lower Respiratory Tract Disease • Diabetes Mellitus • Cardiovascular Problems: Hypertension, Dyslipidemia, and Heart Failure • Differential Diagnosis and Treatment in Commonly Encountered GU and GYN Problems • Common Issues in Mental Health • Select Health Issues in the Older Adult Day Three Class: 8AM to 1PM • Primary Care of the Well and Sick Infant, Child and Teen • ADDITIONAL ONLINE CONTENT (accessible for 180 days) Post-live Presentation • Disorders Revealed by the Cardiac Exam: A Focus on Heart Sounds and Murmurs • Common Musculoskeletal Problems • Principles of Family Planning • Prescribing in the Elder • Professional Issues • Primary Care of the Woman during Pregnancy • Common Infant Dermatological Conditions Additional details will be posted as soon as they are available. 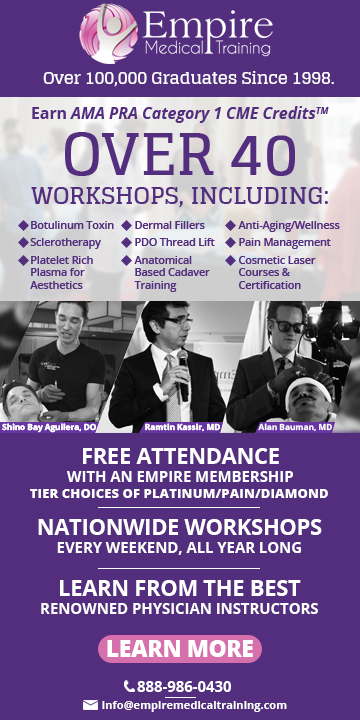 The New York State Pain Society (NYSPS) 2019 Annual Meeting & Scientific Sessions is organized by The New York State Pain Society (NYSPS) and will be held from May 17 - 19, 2019 at Renaissance Westchester Hotel, West Harrison, New York, United States of America. Target Audience: Open to Physicians (MD, DO, DC), PhD, Pharmacists, Psychiatrists, Psychologists, Physician Assistants, Nurse Practitioners, Nurses, Physical Therapists, Therapists, and Practice Administrators from pain management, PM&R, anesthesiology, neurology, primary care, psychiatry, psychology, and chiropractic with a professional interest and/or practice in pain management. Credit Designation Statement: Amedco LLC designates this live activity for a maximum of 20.25 AMA PRA Category 1 CreditsTM for physicians and 20.25 contact hours for nurses and 20.25 knowledge-based contact hours for pharmacists. Learners should claim only the credit commensurate with the extent of their participation in the activity. Overview: Join your colleagues for NY State's Premier Accredited Education Course in multi-modal pain management. No matter your specialty, we have sessions for you! This year we have excellent Nationally recognized guest lecturers including JianGuo Cheng MD PhD, Jeffrey Fudin PharmD, William Morrone DO, Richard Rauck MD, Steven Stanos MD, and from Russia, Evgeny Sokov MD. 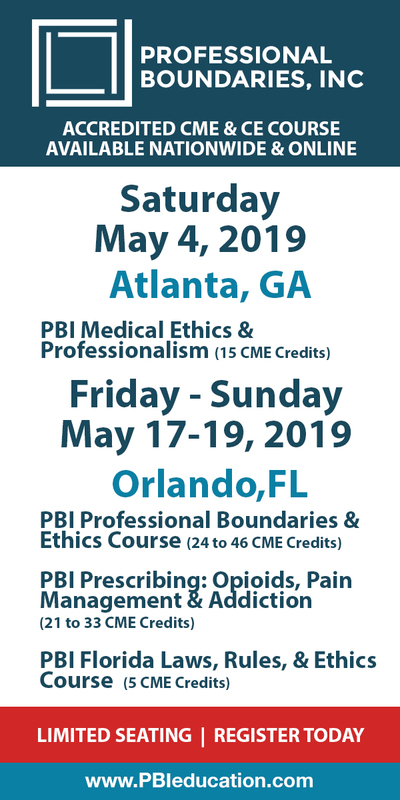 We have sessions on pharmceutical management, interventional management, complimentary management, and workshops on the mandatory prescriber education, Great Debates, and coding, billing and ancillary income. It is a great weekend to network with colleagues and the faculty. Program Highlights: • Advances in our understanding of the Opioid Crisis - Just the Facts • Advances in Pharmacological Care • Advances in Interventional Pain Management • Advances in Regenerative Medicine • Advances in Complementary Therapies Learning Objectives: • Identify risk factors associated with the initiation or maintenance of chronic opioid therapy. • Provide decision-making strategies that consider non-opioid pharmacologic and non-pharmacologic strategies for the management of chronic pain. • Apply evidence-based strategies to clinical practice for managing complex patients with chronic pain • Employ key diagnostic and treatment techniques for the management of pain. • Address common clinical challenges in the management of acute and chronic pain. • Evaluate and debate new trends, techniques, therapies, and diagnostic procedures. • Apply evidence-based strategies to clinical practice for performing behavioral evaluations for chronic pain patients who are candidates for spinal cord stimulation. • Assemble a valuable network of colleagues active in the field of pain medicine.